. يقدم Jacaranda Guest House خدمات لا غبار عليها وكل أشكال اللياقة وحسن الضيافة اللازمة لإسعاد ضيوفه. يمكن لضيوف الفندق الاستمتاع بالميزات التالية على أرض الفندق: واي فاي مجاني في جميع الغرف, مرافق مخصصة لذوي الاحتياجات الخاصة, واي فاي في المناطق العامة, صف السيارات, غرفة عائلية . في الفندق غرف نوم يتجاوز عددها 7، كلها مجهزة بعناية وجمال وبعضها مزود بـ تلفزيون بشاشة مسطحة, اتصال لاسلكي بشبكة الإنترنت (مجاني), غرف لغير المدخنين, مكيف هواء, تدفئة. صممت خدمات الاستجمام في الفندق والتي تتضمن حديقة لمساعدتك على الاسترخاء والراحة. إن Jacaranda Guest House هو مكان مثالي للمسافرين الذين يتطلعون إلى الراحة والاستجمام في مارجريت ريفر واين ريجيون. Lovely couple showed us around the guesthouse when we arrived in the evening. The room was relatively spacious but quite cold since only there was only air con to heat up the room. However, bed heater was included which is a nice to have during winter time. Main town centre is located 5 mins drive. No proper kitchen but appliances such as oven, fridge are available for the guests to use. My wife and I had our first trip to Margaret River and stayed here for 3 nights. Either side of this we stayed in large hotels in Perth and appreciated the warmth and informality here. Rooms are comfortable and the garden is well maintained with bushes providing a number o separate seating areas around the garden, although most people are happy to sit around the main table and chat Great breakfast spread and (post-Christmas) lots of extras in the fridge, for which we were told to help ourselves. Wide range of tourist materials and owner took great pains to help us with our arrangements. 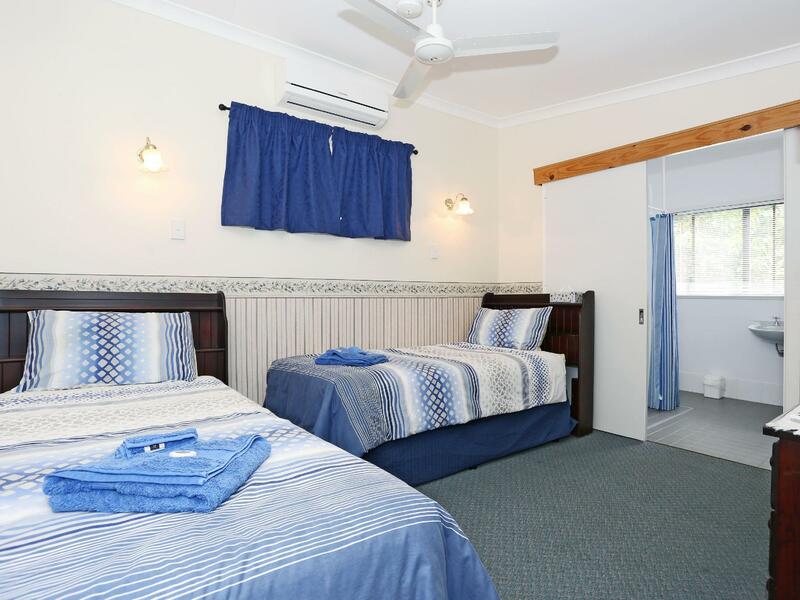 The location is near Busselton jetty, and its a lovely cottage, but personally didn't really feel comfortable staying there. Cut short our stay by a day to continue our journey. Disappointed on owner's manner , very impolite to guest. The location was great, 5 mins walk to Busselton Jetty. 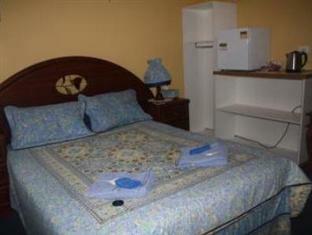 The room was clean with heater, coffee and tea facilities. Big and spacious bathroom with hot shower. The owner was lovely and friendly, prepare us delicious and lot of variety breakfast, bread, milk, juice, cereal,yogurt, fruits and more. Recommend for stay!! Breakfast was good, rooms were quite cold at night especially the extended room. Place is very homey though. Very nice setting with homely feel, beautiful garden layout, lots of common areas for guests, free wifi and most of all, very good service, friendly & helpful owner (not to mention good complimentary breakfast). 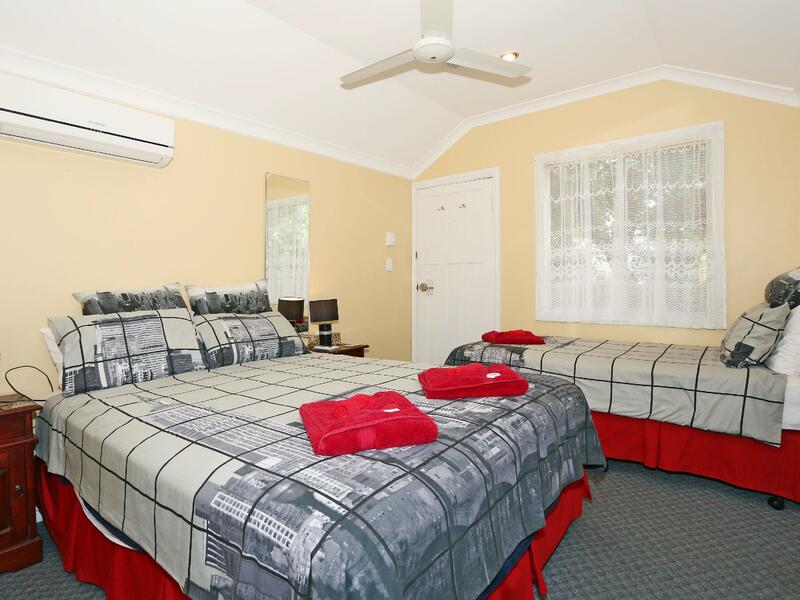 Location is excellent, just a short distance to Busselton Jetty, food outlets on Queen St and other nearby amenities. A good place as a base to explore the Margaret River wine region. The hotel is lovely and surrounded by flowers planted by the owner. 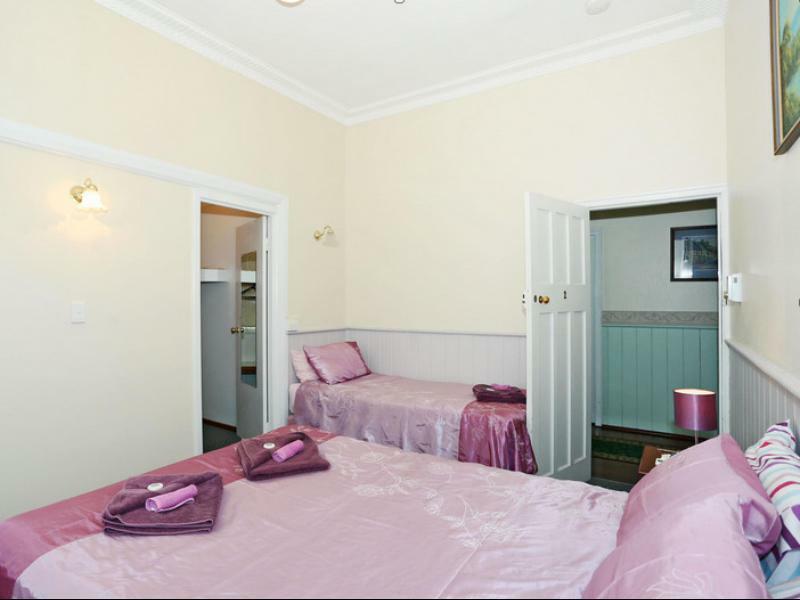 It is just 1km from Busselton Jetty. 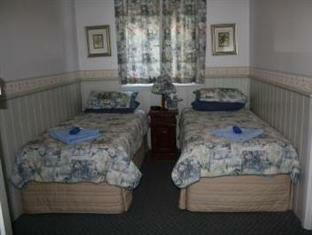 The room was sweet and comfortable with complete winter facilities. The complimentary coffee and tea were generous and the breakfast was awesome with wide range of cereal and bread. 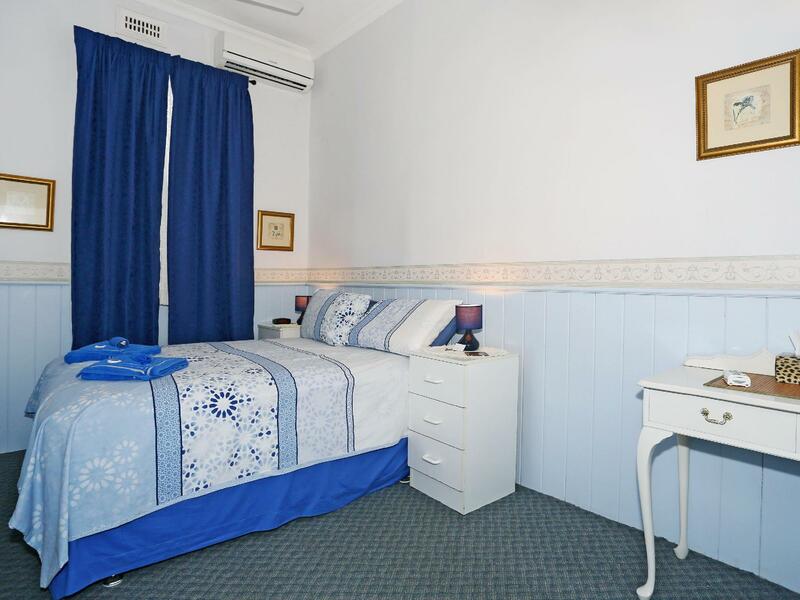 I never regret staying there and will definitely stay there again if i ever travel to busselton. It feels so warm and cosy in the guesthouse. The owners are really friendly. We had breakfast with other patrons on the same table. We chatted and it feels very welcoming. The room is clean and the bed did not disappoint. Good location , hospitality, & nice environment. This is one of the most comfortable B and B's I have stayed in. Period features, high ceilings, mine hosts were just great. Ann is a gem of knowledge on local attractions, and the breakfast was more than ample. [Extras like hot cooked food can be done for a minimal cost]. Originally I booked for 3 nights, but cancelled the next place and extended to five nights here. (It was a resort and very cold and unfriendly.) The beds at Jacaranda were to die for. Comfortable, electric blankets too. 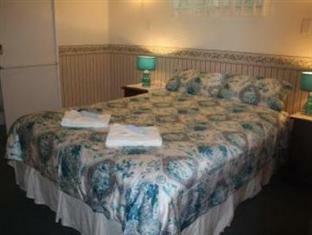 A generous common room with Microwave and hot drinks facilities, Foxtel and heaps of reading materials, games, etc.. 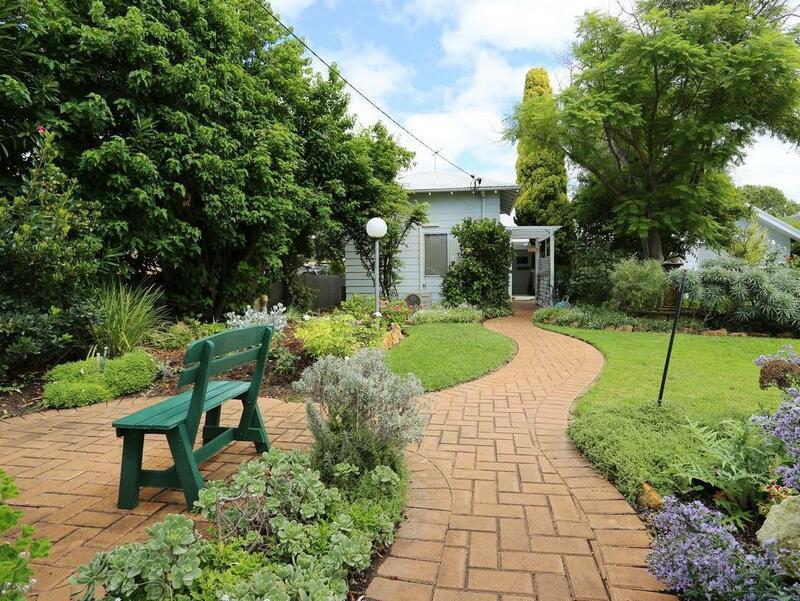 The house has ample outdoor areas, gardens, BBQ facilities, and is within minutes walk to the shops and night life / eateries. All in all, it was a haven for me, a home from home. Very enjoyable..